Would you like some “Free” with that? This just might be a possible question asked by a McDonald’s employee in the imminent future. 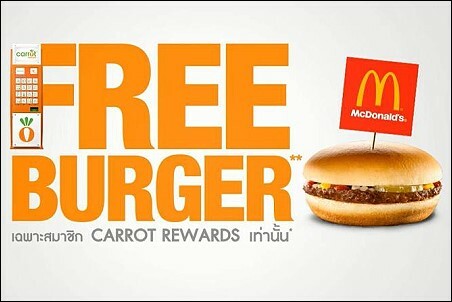 Currently, the only reward you get for eating at McDonald’s is: well, the food itself. McDonald’s does not have a rewards card to attract customers to stop by because of additional points or freebees. Though, it sure can use one. The traffic in McDonald’s in on a steep decline. Frankly, their forecast also suggests a continuing future decline. We have previously discussed in class the need to identify the reason for having a negative trend and making adequate changes and adjustments to avoid declining sales. This is exactly what McDonald’s is doing. They are reconsidering their strategy and trying to come up with a way to retain their clients, meanwhile attract more clients who can make up for the decline over the recent years. To create this new traffic, McDonald’s designed what you can almost call a new product, a loyalty card, which it is planning to introduce in the upcoming days. Other food chains such as Panera, Subway, and Starbucks already have some form of a loyalty card, and they all have seen a greater rate of return after its introduction. People love when they get a good deal: a purchase made on sale or just a freebee. Therefore, people are choosing places that reward them for their loyalty with rewards-only deals, or accumulation of points which eventually leads to some discount. This also helps keep customers loyal. The three major fast food chains: McDonald’s, Burger King and Wendy’s have yet to come up with a loyalty card. Being the first to introduce one can definitely be a competitive advantage for McDonald’s. This can help them further differentiate themselves from the other two. In addition, McDonald’s market consists of people who are relatively small spenders, which is what brings them to McDonald’s, a food chain with fairly low prices. Introducing a loyalty card that can save them even more money or get them a better deal will definitely be something these types of customers are interested in. Another amazing benefit of a loyalty card is that companies can track client’s purchases. They can then use this information to customize their marketing with coupons and sales that are specific to your interests. Therefore, this is an ideal solution for the decreasing sales at McDonald’s. The loyalty card will keep clients from going to the other places, which do not reward them for coming in. Although many companies focus on improving their processes through efficiency and cost cutting, without sales, there is no need for production at all. McDonald’s is currently in need of increased sales and traffic. And although investing in the design and creation of a loyalty card can be quite costly, I believe it will definitely pay off with increased sales and loyal customers. Do you think the loyalty card will keep their clients loyal? increase traffic? increase sales? What is your experience with loyalty cards? United Airlines reward program: Boom or Bust? 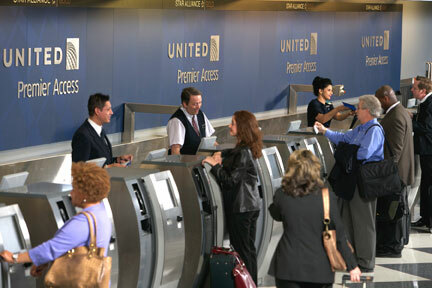 In a sluggish economy, why is United (and other major airlines such as Delta) pursuing programs that are raising the bar and basically shrinking the pool of travelers who can qualify for these elite rewards? Why is prestige becoming such a major factor in the programs decision making process? I understand you do not want to give away your product easily but I feel programs like these do more harm than good by emitting a highly arrogant vibe. The airline is trying to gain a competitive advantage but I feel it is sacrificing business while trying to gain that advantage. The decision to pursue a program such as this was bad one almost from conception as I do believe the project managers were too focused on the specific issue of creating a prestigious rewards program and as a result ignored the bigger picture. Focusing on differentiating yourself from a competitor is good but not at the expense of long-term sustainability. Especially given the fragility of the airline industry (and the economy as a whole) in recent times I would think decisions would be better thought out, more universal and simply more accessible to the average traveler as a means to entice new business and grow existing business. What do you think of this new plan? Do you think it will be successful? As a business starts out there are a few challenges that CEO’s will have to face. One challenge is hiring the right people for each position needed. The next one is retaining the employees. If you are going to try and expand and compete you have to make sure that your employees are happy. If employees know they are working in an environment that they love, then they will want to stay. By offering incentives to your employees it shows that you care about them and you want to make sure they are getting treated fairly. You do not have to do anything outrageous like Google or Facebook do in their work space. Simply adding free lunch once a week will improve absenteeism and decrease your turnover rate. For example, Google has been known to offer on-site haircuts, gym memberships, fully stocked lounge areas with billiards and video games, on-site dry-cleaning, and even gave employees 100,000 hours in subsidized massages in 2012. Who would not want to work there? You can get all your errands done for free while you are at work. 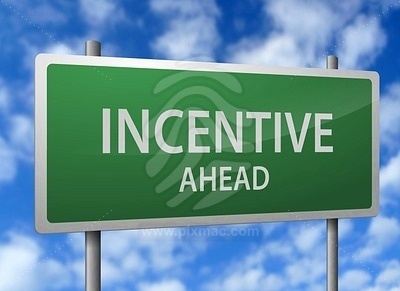 By offering incentives like these it increases employees productivity. I know if my job offered half of those incentives I would want to make sure I am doing my best at work so I can stay with the company. Almost everyone has heard about how working for Facebook is great. Not only do they have catered meals and a insane break room, they also offer paid maternity leave for four months. They also give reimbursements for daycare and as a bonus Facebook gives you $4,000 as a gift for the new born. That is crazy to think that they give gifts like this to every single employee that works at Facebook. You would think people would take advantage of it but that is not the case. They have never had a problem that would make them want to take away the gift. They trust their employees with their company, and the employees trust the company with taking care of them. Yes all this seems outrageous if your a small company, but just by allowing employees to wear jeans one day a week can make a large differnce. You have to find out what works best for your employees and your company. Start by asking some of the employees what they like or what they feel could help them get through a tough day at work. You would be surprised with how easy it could be to ask employees what they want instead of assuming. By making the employees feel like they have a say, they will have more respect for management and the organization as a whole. If you can pick some incentives at your job what would they be? Would your productivity increase if you got offered incentives?